Plextor showed off an interesting prototype at Computex this year, the M9Pe Extreme 4-way SSD. The component is basically a board that can fit four M9Pe M.2 SSDs in RAID 0, which is backed by a Marvell 88NR2241 PCIe NVMe switch. 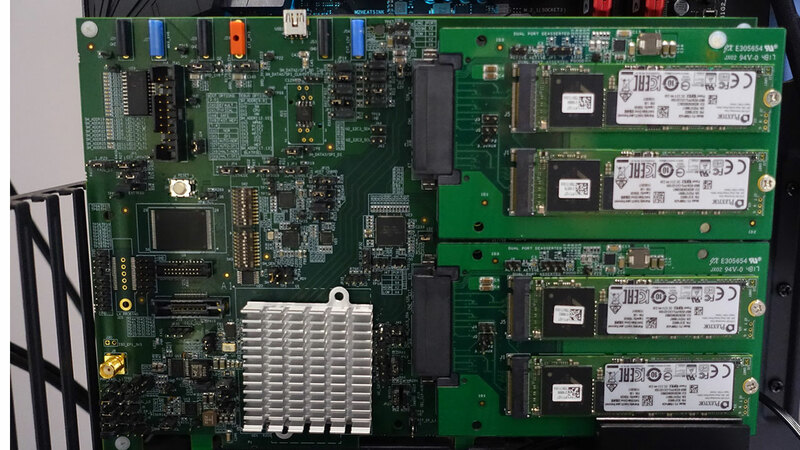 The Marvell switch features four PCIe 3.0 x4 interfaces for the four SSDs and a PCIe 3.0 x8 interface for the board, which supposedly makes it compatible with more systems. According to Plextor, the M9Pe Extreme will deliver sequential read/write speeds of up to 6,500MB/s and 5,000MB/s, respectively, and aside from RAID 0, the component will also support RAID 1 for redundancy/reliability. The company did not give much information beyond that, including when the component will be released and how much it will cost. 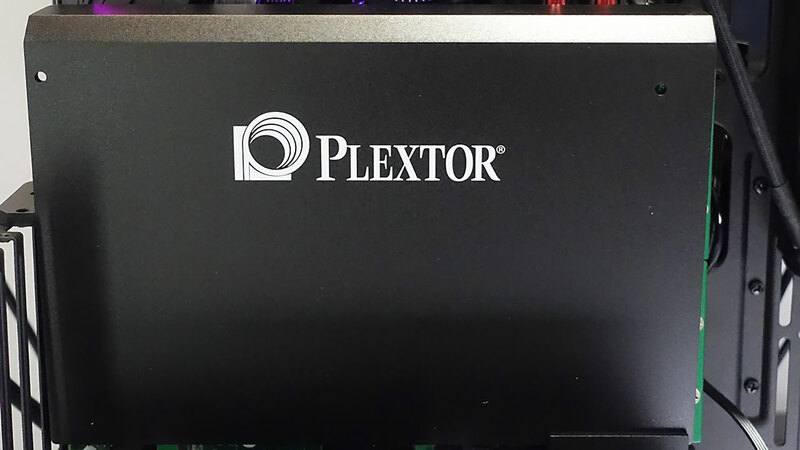 “Continuing Plextor’s outstanding capability in the high-speed storage devices, the M9Pe Extreme, as the name states, delivers unprecedented extreme high-speed performance, making a new record in consumer SSD read/write speeds. With high quality components and excellent performance boosting technologies, PC gaming experience, for one, will never be the same,” said Fay Ho, Senior Director for Brand Division, LITE-ON Technology Corporation. “Marvell and LITE-ON have a longstanding relationship of SSD collaborations and we’re excited to expand it by enabling their innovative M9Pe Extreme SSD with our 88NR2241, the industry’s first NVMe switch. Our intelligent NVMe switch technology combined with Plextor’s storage expertise delivers a groundbreaking solution to meet the increasing storage demands of emerging high-performance client and edge applications,” said Nigel Alvares, vice president of SSD and Data Center Storage Solutions at Marvell. The M9Pe Extreme is still a work in progress, evident by its humongous size and the lack of a proper shroud or backplate, and we probably won’t see a final product for awhile. But with four SSDs, the M9Pe Extreme will definitely not be cheap and will most likely be targeted at high-end enthusiasts or server applications rather than the mainstream market.